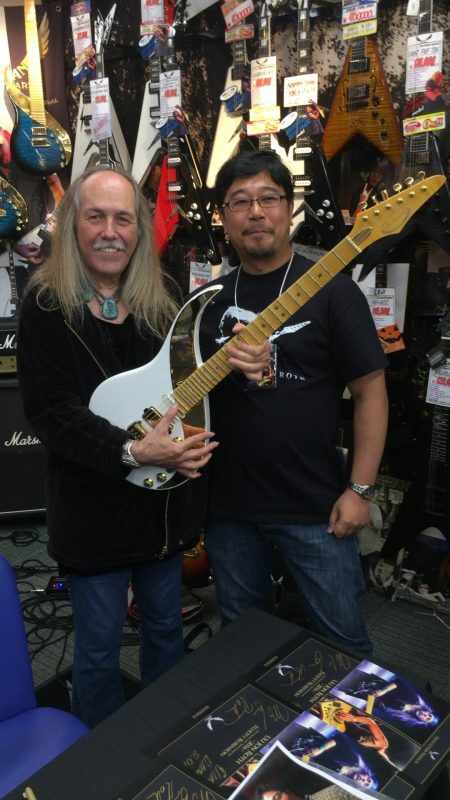 I really want to say “Thank you” to Uli Jon Roth. Uli gave me an experience to play the ultimate instruments. The Sky Guitar takes me to a different world. Uli lectured at Sky Academy in Japan. When playing my “Peacemaker” Sky Guitar, I feel that Sky Guitar helps me to go to the journey which is never experienced any other way. Almost all people say that Sky Guitar has a lot of frets and providing the ability to play high notes. This is true. But, this is only one of aspect of the Sky Guitar. Previously, I had a guitar which has 30 frets. Based on this experience, I can say, it cannot replace the Sky Guitar, even if guitar has a lot of frets. If you play the music between 0 and 21 or 22 frets with Sky Guitar as same as a regular guitar, you can realize the complete difference. I believe this synergy effect makes a difference. If one of them is missing, it cannot be a Sky Guitar. I’m happy to go to the next journey with my Sky Guitar!